Just For You! Personal Support Services, Inc. offers free, timely and practical consultation service to asses your need for services to assist you in developing a sound Plan of Care. 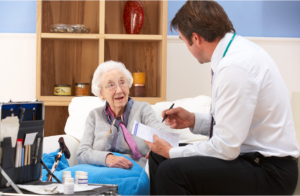 Upon enrollment to home care, it is necessary to receive guidance and assistance from the experts. Our experienced staff will answer all your questions about non-medical home care services. Ask for a free consultation today! For questions or concerns, please call us at 770-991-9489 or send us a message through our quick contact form.